Note Xbox One does not support streaming media from Windows Media Centre. You can use Windows Media Centre to stream music, pictures and video to your Xbox 360 console from any computer on your home network. The following steps are for Windows 8. For help installing Windows Media Centre on your computer, see Windows Media Centre. 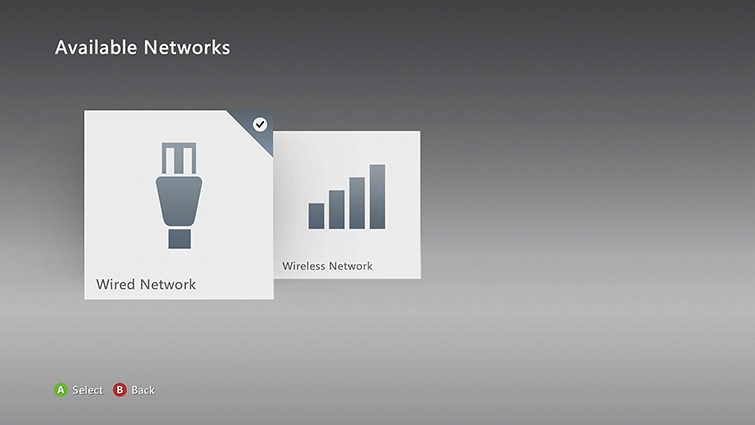 If you’ve already connected your console to your network, you can go to step 2 below. 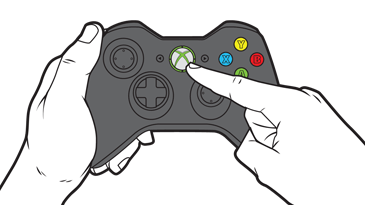 On your Xbox controller, press the Guide button. If the network status for the connection to your network shows as Connected, go to step 2 below. Otherwise, select More Info on your console and follow the suggestions. At the bottom of the menu, select the Down Arrow, and under Tasks, select Settings. 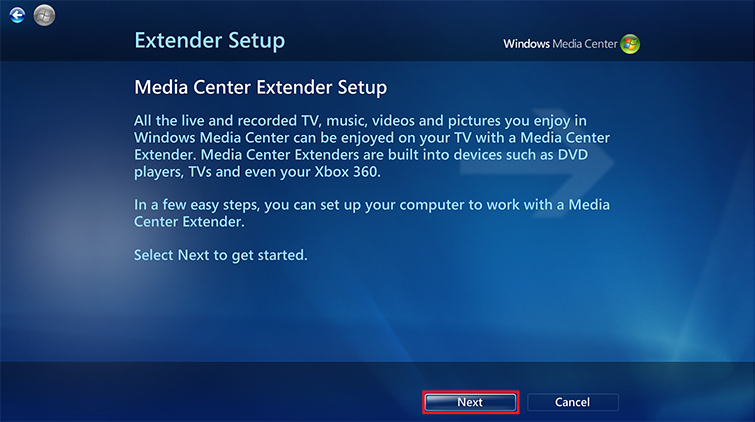 Select Xbox 360 Media Centre Extender. 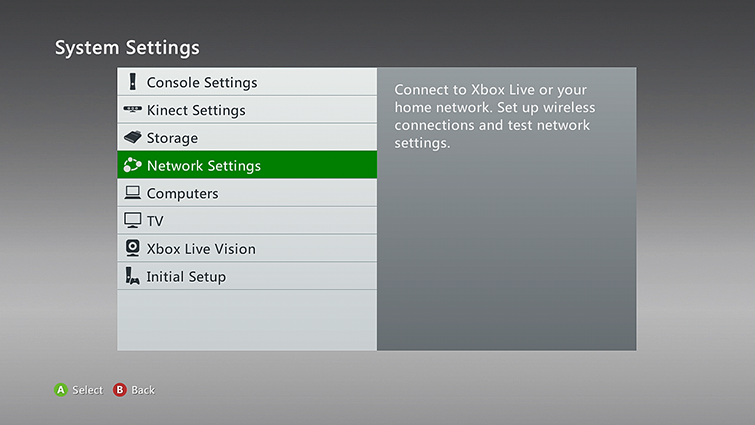 Go to My Settings and then select System. On your console, go to Apps, select My Apps and then select Windows Media Centre. Write down the 8-digit setup key. If you’ve already installed Windows Media Centre on your computer, go to step 5. If you haven’t, follow the steps on the Windows 8 Pro page to install Windows 8 Media Centre Pack or Windows 8 Pro Pack. Start Windows Media Centre on your computer. Scroll down to Tasks, and then select Add Extender. 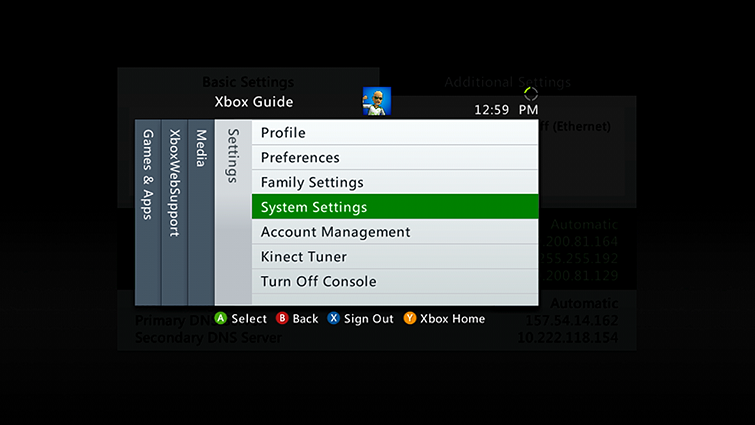 On the Extender Setup screen, select Next. 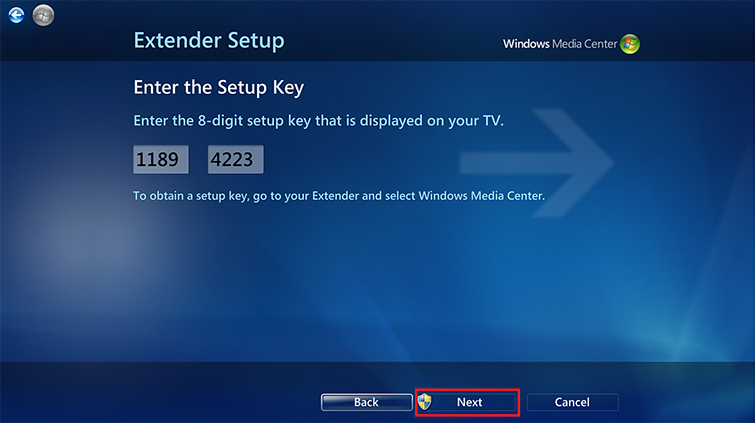 When prompted, enter the 8-digit setup key from step 3. Select Next to complete setup. Go to Apps, select My Apps and then select Windows Media Centre. 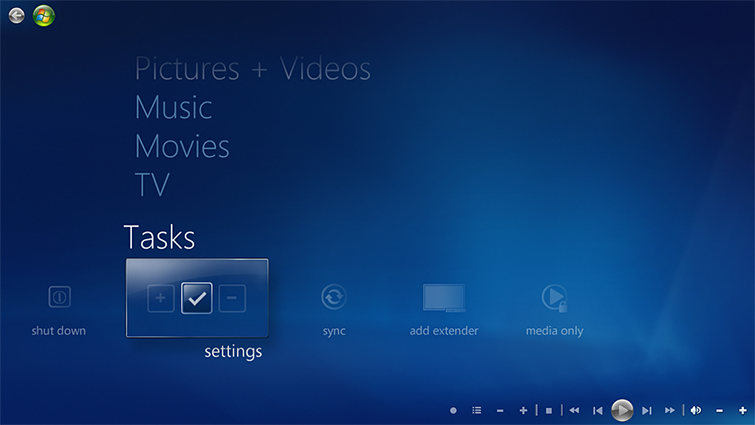 It will take some time to build your media libraries the first time that you use Windows Media Centre on your console. Do I have Windows Media Centre? 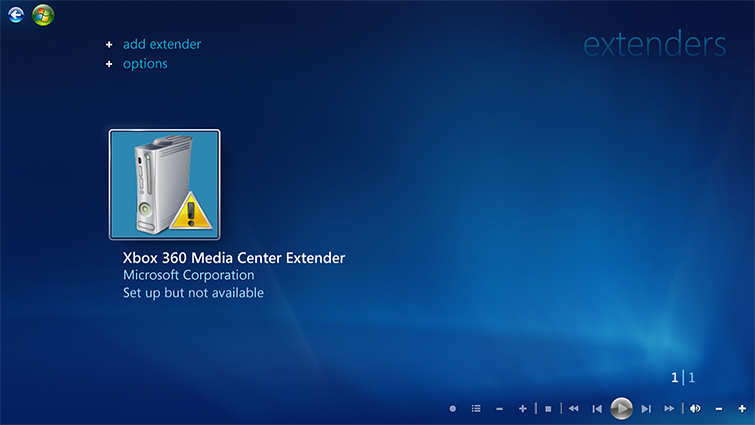 Would you like to contact Support regarding the "Windows 8: Set up Xbox 360 as a Windows Media Centre extender" issue you were reading about or a different issue?